Summary: Two years in the life of a young writer living in Manhattan. There is no plot, yet readers follow the protagonist Sam with indifference as he gets the job at the vegan restaurant, sends angst-ridden emails to fellow writers, and, yes, attempts to shoplift from American Apparel. The narration and dialogue are blunt to the point of comical; Lin’s autobiographical novella makes ego and understated wit work. Six word review: Minimalism and self-awareness entertains and saddens. I started reading because… I was at a loss in a New York bookstore. 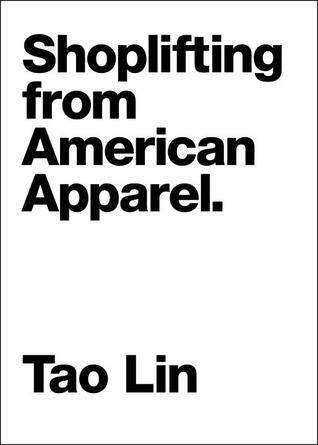 “Tao Lin” jumped out at me having read about his work in Dazed & Confused magazine, as did the Helvetica font synonymous with ever-hip American Apparel. Plus it was set in Manhattan, so it felt apt. I kept reading because… it was so entertaining. I recognized and appreciated the portrayal of a slightly aimless, consciously trendy character who at once evoked amusement and despondency. Amid a collection of highly lauded classics on my “to read” shelf, Shoplifting from American Apparel’s modernity is rejuvenating. What I loved: The lack of adjectives and embellishments. It made for a raw piece that I did not put down until I finished (of course, it is a tiny novella). If Sam was in a high school yearbook, he would be voted: Most Angsty. This entry was posted in Read This!, Teen Powered and tagged Book Reviews, novellas, review, Teen Book Reviews on March 30, 2014 by Teen Blogger. You’ve read Unearthly and the other books in the series, but you’re hungry for more set in the world created by Cynthia Hand… Get ready for some good news! This entry was posted in Read This! and tagged ebooks, novellas, Unearthly on February 28, 2014 by pushtotalkteens. 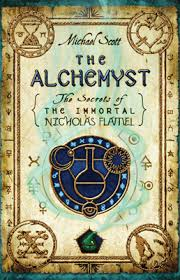 You’ve read The Alchemyst and the rest of the Secrets of the Immortal Nicholas Flamel series, but you’re hungry for more set in the world created by Michael Scott… Get ready for some good news! This entry was posted in Read This! and tagged Alchemyst, ebooks, novellas on February 21, 2014 by pushtotalkteens. You’ve read Shatter Me and Unravel Me (and you’ve put Ignite Me on hold), but you’re hungry for more set in the world created by Tahereh Mafi… Get ready for some good news! This entry was posted in Read This! and tagged ebooks, novellas, Shatter Me on February 14, 2014 by pushtotalkteens.